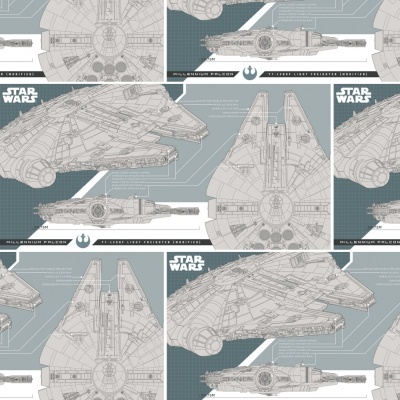 Star Wars Millennium Flacon design on a grey/blue background, from the Camelot Disney The Last Jedi Cotton collection. 100% cotton. 110cm / 44'' Width, approx 150gsm. Multiples of a size will be cut as one piece unless requested otherwise. Very good quality fabric, excellent service. Will definitely buy from this website again.